Ever since learning that making your own basic pie crust is not only easy but tasty, I have not stopped making pies (and eating them). 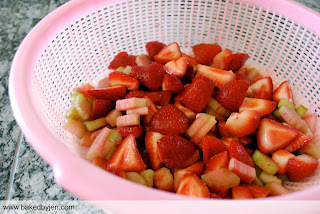 Especially with so many fruits being available from strawberries to peaches to raspberries to blueberries to cherries. I can't stop picking them up from the market! 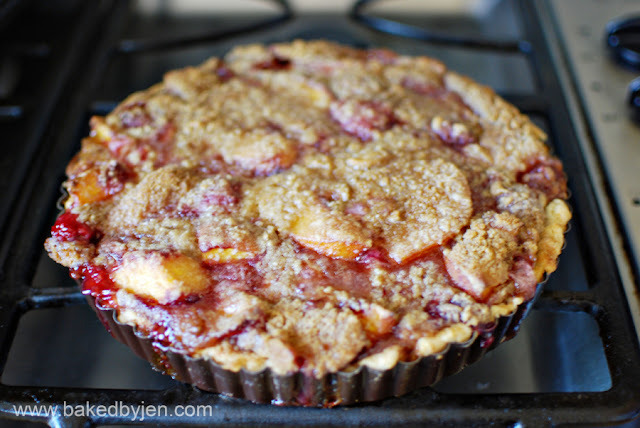 This week's fruits of choice were peaches and raspberries. For the filling, I used a recipe from The Ultimate Cook Book, which I had for a few years now but was never inspired by until now. 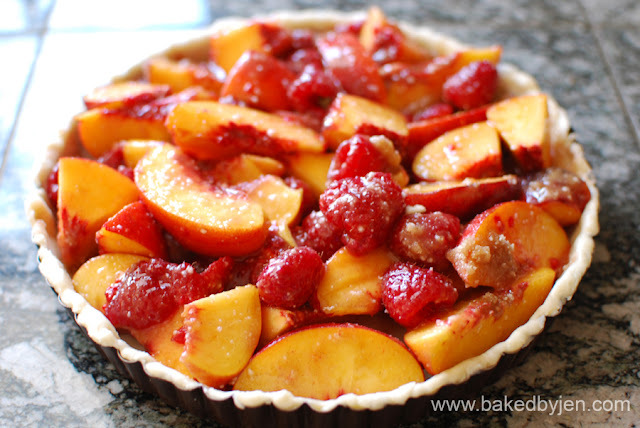 They have a section dedicated to fruit pies and you just mix and match the crust, filling, and topping. How amazing is that! 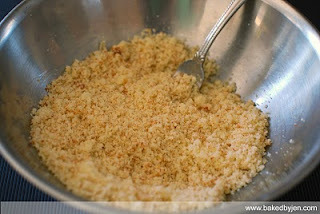 Because I was using my tart pan, I went with the crumb topping found in my BHG New Cook Book instead of a double crust. 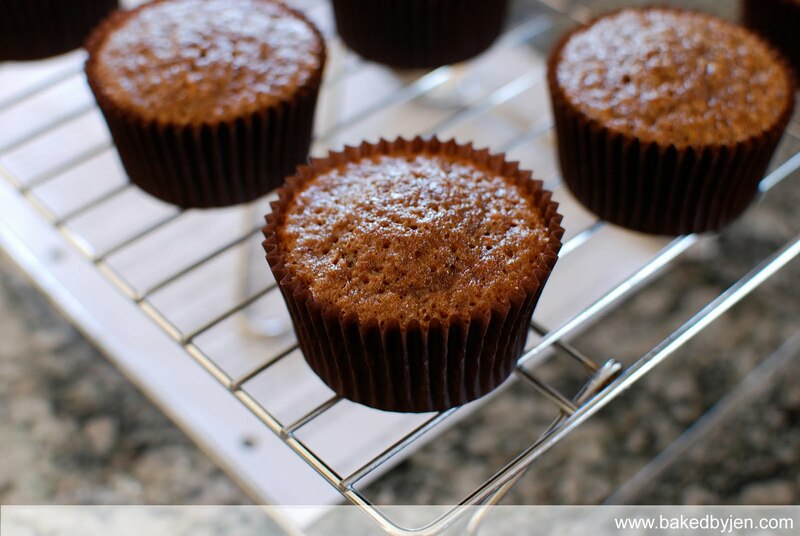 It only required brown sugar, flour, and butter. Perfect combo of sweetness and tartness. Gotta see how many more of these I can squeeze into the oven (and my pants) before the end of summer! I went through a bread pudding phase a few years ago. I've made a wide range of bread pudding from the classic to the chocolate banana to the apple version. 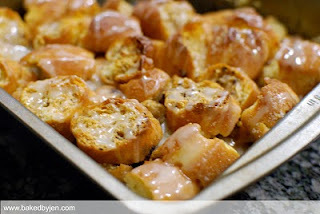 So, imagine when my sister told me there was a donut bread pudding (adapted from All Recipes)! Believing it might be too sweet, I had my sister bring sugar donuts instead of glazed donuts as the recipe suggests. The custard base wasn't sweet at all. Almost bland. In the end, I had to make a powdered sugar glaze to pour all over the top. So much tastier. These incredibly moist cake-like brownies have a secret. 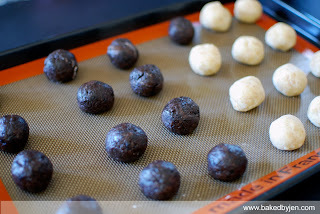 Besides containing Andes mint baking chips, they are made with whole wheat flour and dark chocolate. So, they're practically "healthy" for you. Well, that's what I told myself anyway as I inhaled 3 of them within minutes out of the oven. 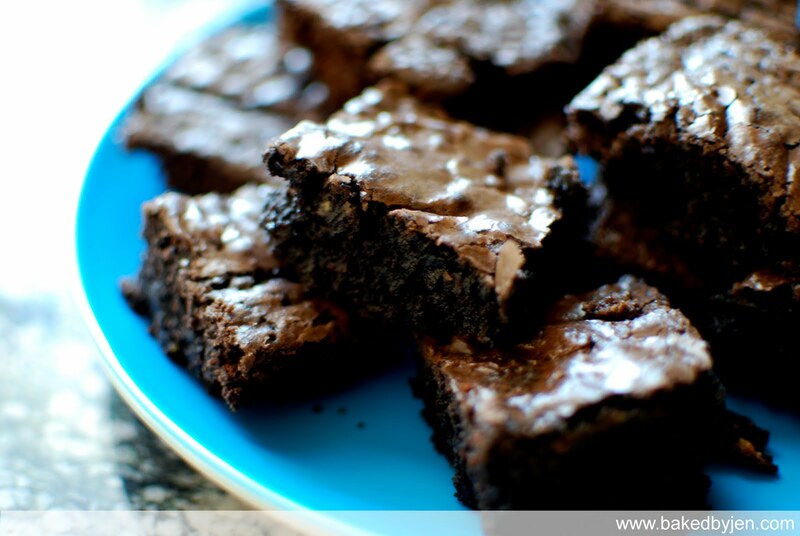 The recipe is adapted from a tried and true Best Brownies recipe from Hershey's Kitchen. I substituted all of the all-purpose flour for whole wheat flour, used Special Dark cocoa powder, and mixed in Andes baking chips. When I came across Marzipan's blog post about the best carrot cake recipe, I had to add that to my to bake list as my own version was only okay. 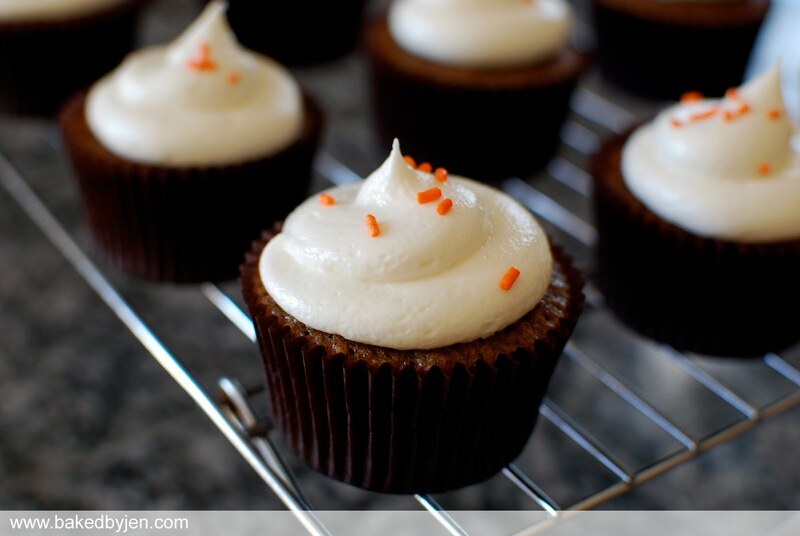 I adapted this recipe into cupcakes in order to give some to one friend today and some to another friend tomorrow. Because I wanted a slight crust to the frosting like the ones from those specialty cupcake stores, I tried a new cream cheese frosting from Cake Central. 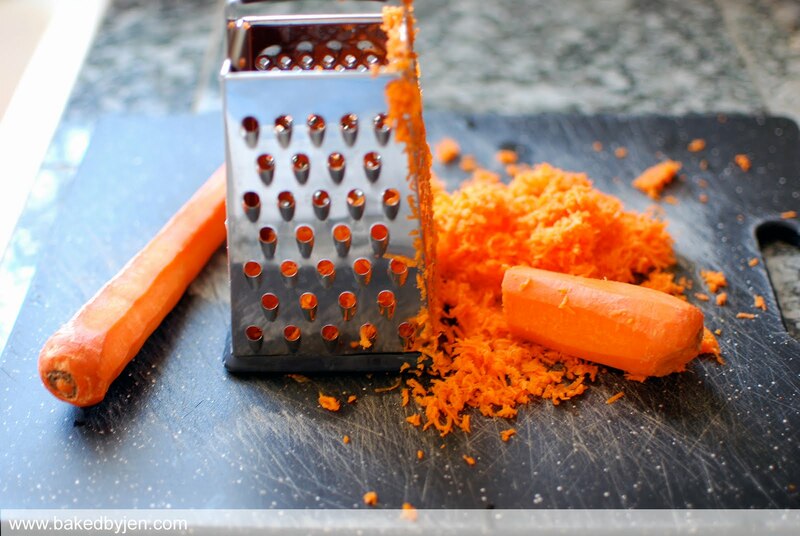 To hint that these were carrot flavor, I threw on some orange sprinkles. I'm not a huge carrot cake fan as the two friends which will be receiving these cupcakes but I tried one and did like it a lot. I left out the raisins and the nuts by request; however, I think it would've shined a lot more with them. I'm going to be baking a few different cake flavors in the next two weeks for a tasting; so, I had to make room in my freezer which was already full of cake scraps. I had bags of lemon cake, chocolate cake, strawberry cake, and vanilla cake. Unfortunately, I had to toss the bag of strawberry cake and vanilla cake as those suffered from freezer burn. After my last somewhat successful attempt at one of Bakerella's creations, I decided to give it another go. This time, I was inspired by her cupcake bites featured on The Pioneer Woman Cooks. 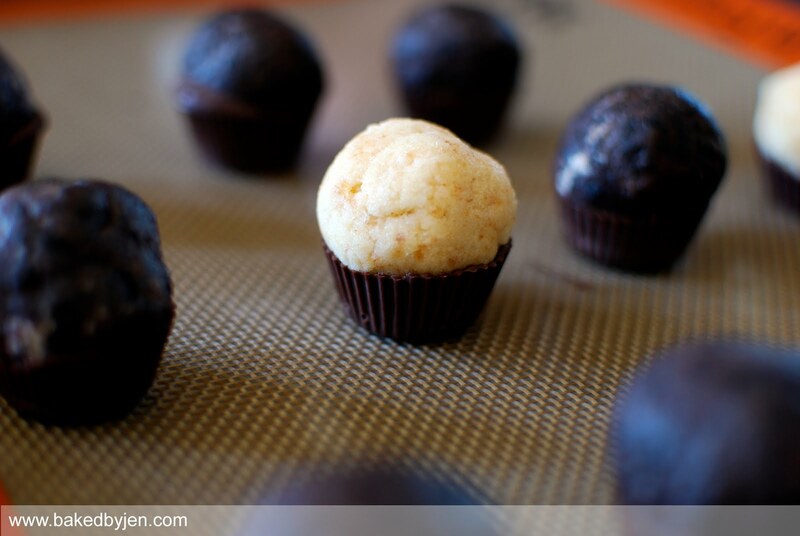 Next, I rolled the mixture into cake truffles and placed them in the fridge for a few hours. 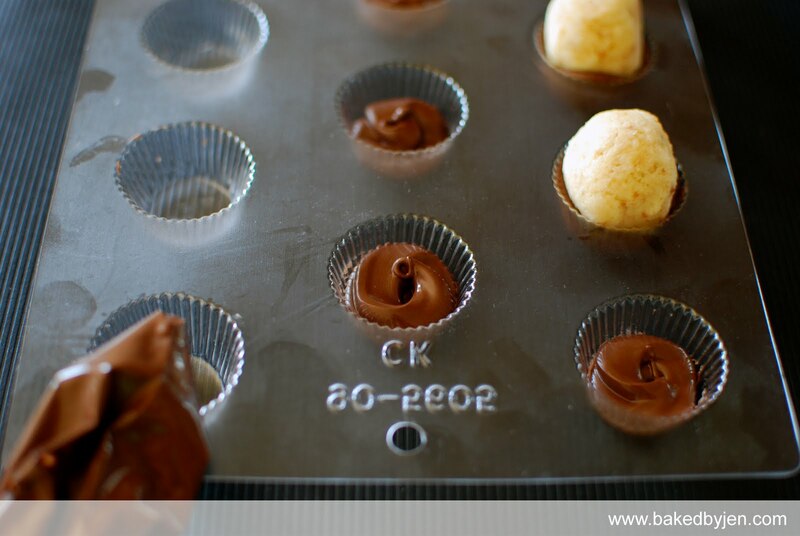 Just before taking them out of the fridge, I microwaved the chocolate candy melts in a plastic bag. This made it easier to fill the candy mold. Then, I dropped the cake ball right on top of the blob. 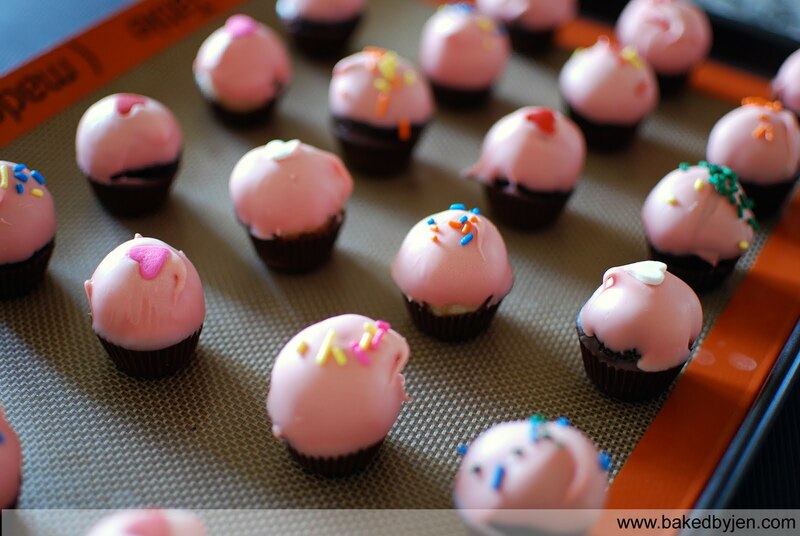 At this point, I realized all my cake balls were a bit too big for the mold but I really didn't want to reroll. So, it made it a little trickier to handle during the second coating. 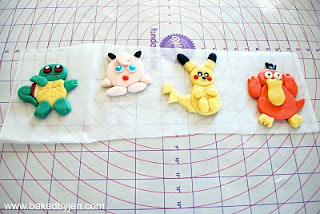 A few seconds in the freezer and they all fell out of the mold a lot easier than I expected. I was trying to pry them out at first but then realized they just fall out when you flip the tray upside down, hah! 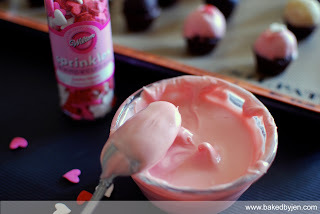 Then, I filled a condiment bowl with the pink candy melts and simply dunked the exposed top, trying to cover everything up until the edge of the chocolate covering. To finish off the cupcake look, I added a bunch of sprinkles. I had a bunch of bananas on the verge of becoming overripe. I could've made muffins like I normally do with them but my brain is stuck on pies lately. To assemble, I covered my basic pie crust with alternating layers of banana slices and vanilla pudding (adapted from BHG New Cook Book). 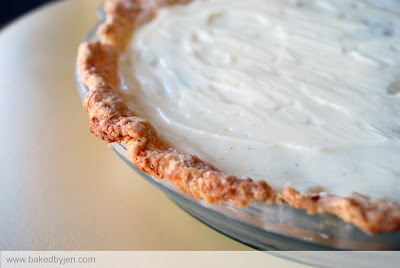 Because this pie was just going to be sitting in the fridge for whoever wants a bite, I forwent making a whipped cream frosting. However, my sister can attest that it was great with a scoop of vanilla ice cream instead. 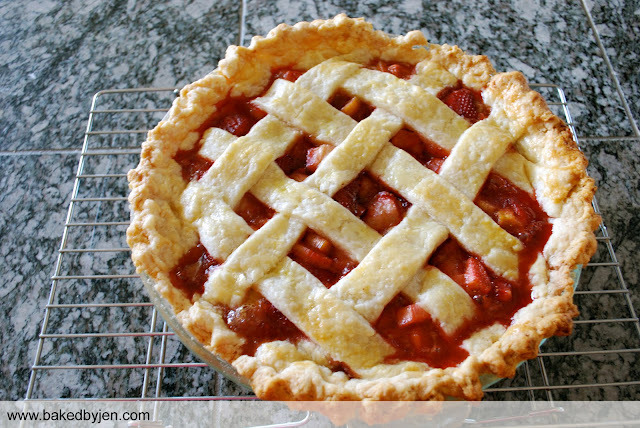 Nothing says summer like a strawberry rhubarb pie. So, for tonight's cookout with family and friends, I knew that that was what I had to make. 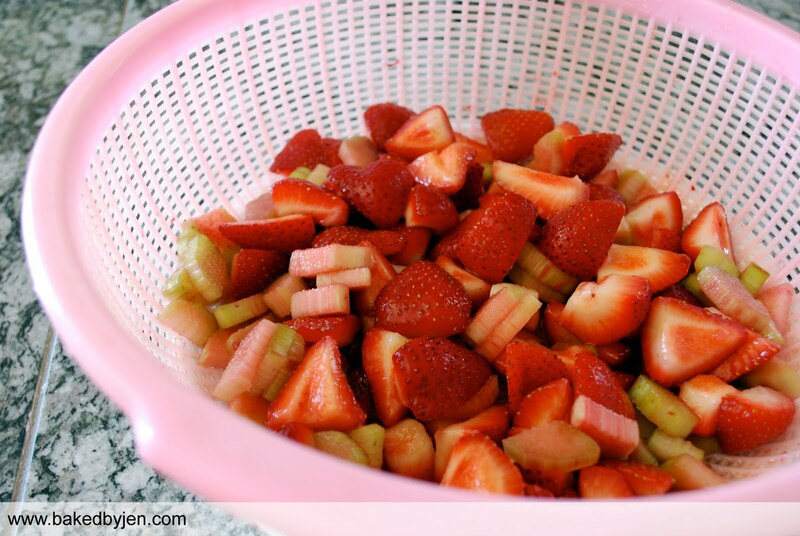 First I had to run to the store and grab baskets of strawberries and two stalks of rhubarb. Then, I used my own basic pie crust and adapted the recipe from Beantown Baker. I had to substitute the cardamom for nutmeg since I didn't have any in my pantry. This was an amazing pie! I've made my share of pies (ie. banana cream pie) but nothing to this caliber. After today, I'm ready to tackle other seasonal fruit pies now. 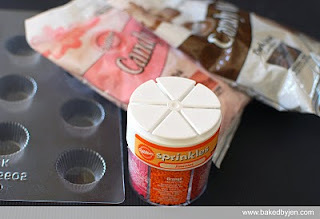 I love making cakes for my family members and friends because it gives me a chance to whittle down my list of cake flavors and frostings I want to try. Funny I say this because lately, it seems for every recipe I cross off, I'm adding two or three more, hah! 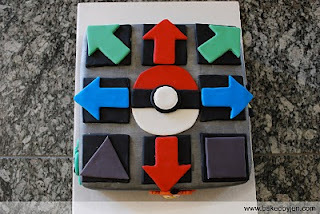 So, this week, for a friend's birthday, I combined his two favorite things - Pokemon and Dance Dance Revolution. This was a lemon cake (adapted from Cake Central) with raspberry buttercream frosting (adapted from Cake Central) covered in marshmallow fondant which I painted with luster dust. 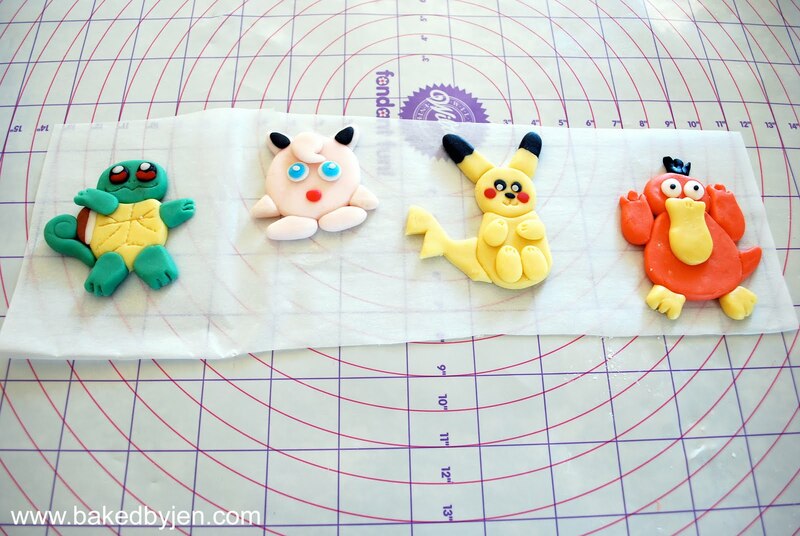 The pokemon figurines I made with gumpaste earlier this week, were stuck tight to the sides with the tylo glue. 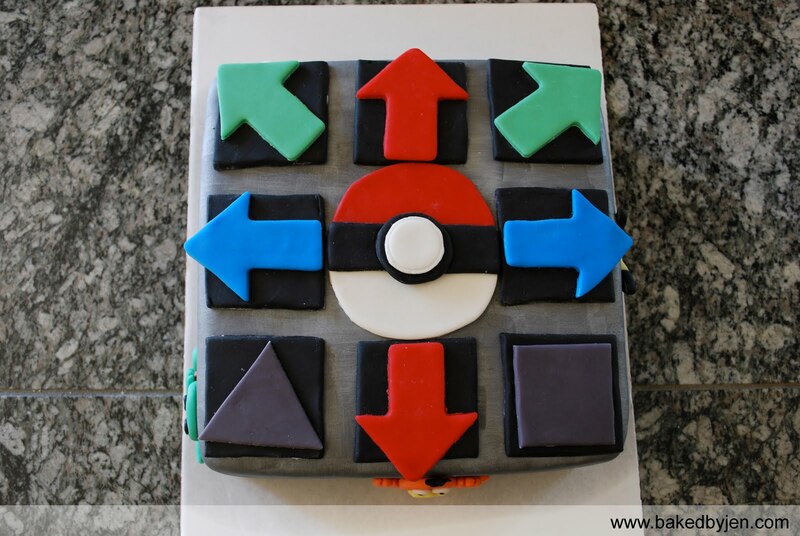 I had a few problems with this cake. I noticed that the top layer was a bit dry once we cut into it. 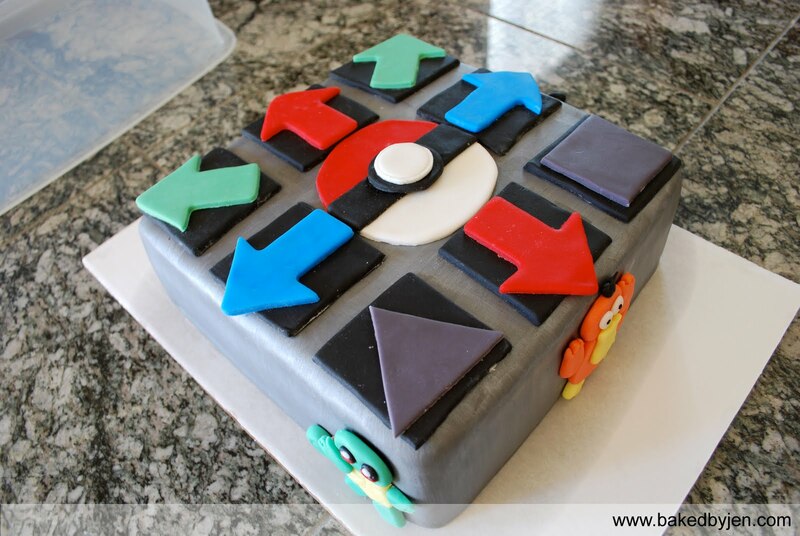 Almost like that one time with my R2D2 cake. I torted/filled/crumbed the cake and left it overnight in the fridge in my cake carrier before covering it in fondant. I thought having it in the cake carrier would prevent any dryness but I guess not. I also didn't let the cake come to room temperature before covering it in fondant and I think this caused those stupid air pockets. So, no more letting my cakes rest in the fridge (which is okay since I don't use any perishable fillings and frostings anyway). In a previous post, I mentioned looking into working with gumpaste soon as I was having a hard time with my fondant for vertical pieces. Well, the time has come! At first, I thought about making an entire batch of gumpaste. But then, I learned that sprinkling a bit of tylose powder into my marshmallow fondant turns it into a quick gumpaste (from YouTube). On top of that, a bit of tylose powder mixed with boiling water turns it into a nice tylo glue overnight (from Cake Journal). This stuff is amazing!